Come See Me at the Thin Air Summit! Published Monday, October 27, 2008 by MB. 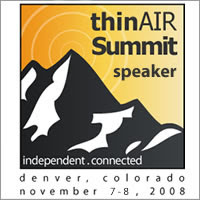 Come hear me talk at the first ever, Thin Air Summit on November 8th in Denver, CO. 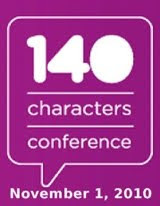 The conference is for all new media, social media, blogging, podcasting, vidcasting, audio book producers or anyone interested in any of the above! Just follow the link below to get all the details on the Thin Air Summit. Click here to go to the Thin Air Summit website. Published Monday, October 20, 2008 by MB. Watch the amazing video "Undying" by Demon Hunter off their album "The Triptych." Find Demon Hunter in myspace by going here. Join Demon Hunter's community by clicking here. Get all your pet needs at PetMeds.com!! Use the code BED to get 10% of your next order!! Click the logo below and start saving now!! Build the Church 341 VideoCast - Sleeping at Last! Published Friday, October 10, 2008 by MB. Check out the video from the amazing Indie artists, Sleeping at Last. The song "Needles and Thread." Enjoy today's VideoCast. Find Sleeping at Last in myspace by going here. Build the Church 340 VideoCast - Eowyn! 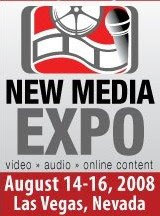 Published Wednesday, October 08, 2008 by MB. Turn up the speakers and get ready to be rocked off your chair by Eowyn in her video "Locked Away". Buy Eowyn's new album Silent Screams by clicking here. Click here to go to Eowyn's website.